Custom log home beauty featuring stunning mill work,rock fireplace,vaulted ceilings and a partially finished mother in law suite or game room. Wood room & wood elevator.Two landscaped,enclosed acres bordering Bear creek with sweeping lawns,fire pit,private swimming and fishing holes, and caves to explore. 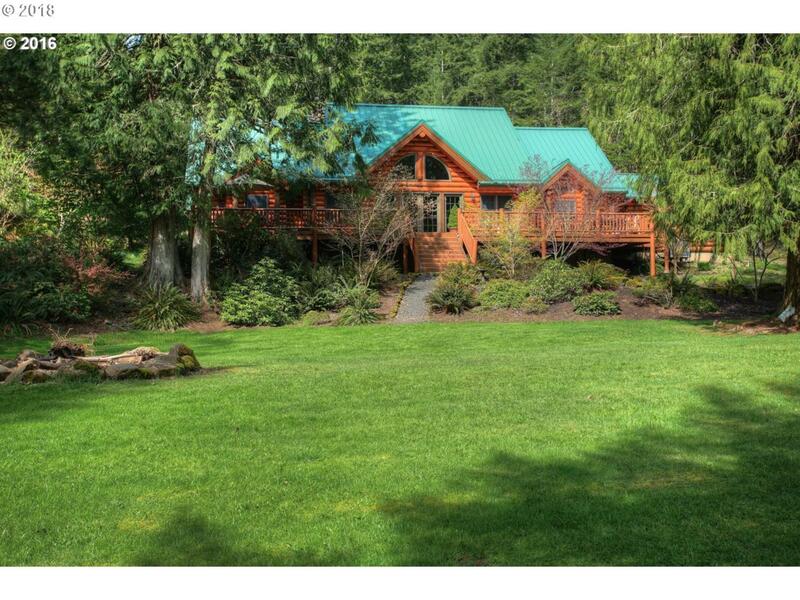 Tranquil location could be a Bed and Breakfast,windsurfer,hiker or hunter's delight. Listing provided courtesy of Windermere Crg Stevenson.